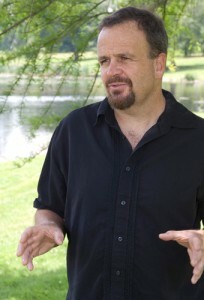 Bradley Wright is an associate professor of sociology at the University of Connecticut where he studies American Christianity. He received his Ph.D. at the University of Wisconsin, where he was trained in social psychology and criminology. He is currently conducting three lines of research. The first line examines how information about American Christianity is selected and disseminated. This has resulted in two books: Christians are Hate-Filled Hypocrites… and Other Lies You’ve Been Told (2010), and Upside: Surprising Good News about the State of Our World (2011). Hypocrites won the Christianity Today Book of the Year Award for Christianity and Culture. The second conducts field experiments to examine sociological issues regarding American Christianity. Among the issues examined are religious discrimination in the labor market and how churches welcome visitors differently by race, ethnicity and class. The third explores how churches can collect and use data using various sociological methods including surveys, interviews, observation, and experiments. Bradley lives in Storrs, Connecticut with his wife, two sons, and a very small dog.